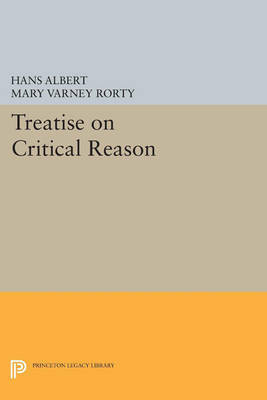 Albert approaches critical rationalism as an alternative to other philosophical standpoints dominant in Germany: the conceptions of the Frankfurt School, hermeneutical thinking as represented by Gadamer, analytic philosophy, and logical empiricism. The author's purpose is to find a way out of the foundationalism of classical philosophy without falling back on the skeptical views so prevalent in today's philosophical thinking. Originally published in 1985. The Princeton Legacy Library uses the latest print-on-demand technology to again make available previously out-of-print books from the distinguished backlist of Princeton University Press. These editions preserve the original texts of these important books while presenting them in durable paperback and hardcover editions. The goal of the Princeton Legacy Library is to vastly increase access to the rich scholarly heritage found in the thousands of books published by Princeton University Press since its founding in 1905.